Today, the leaders of the EU Member States confirmed Slovakia's readiness to join the eurozone on 1 January 2009. Slovakia will thus become the sixteenth member of the eurozone and the fourth to join from the group of countries that became EU members in 2004. The EU Council met in the composition of Heads of State or Government as stipulated by the Treaty when accepting new eurozone Member States. 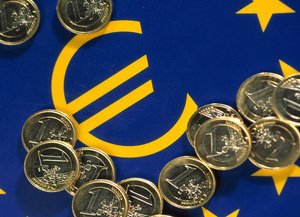 They were acquainted with the Convergence Reports of the European Central Bank and the European Commission, as well as the report of the ECOFIN Council, and confirmed the favourable assessments contained therein. They also welcomed the progress achieved by Slovakia in meeting the convergence criteria to join the eurozone. They also took note of the favourable opinion of the European Parliament of 17 June and called upon the Economic and Financial Affairs Council (ECOFIN) to frame and adopt, at its meeting on 8 July, the necessary legal instruments that will enable Slovakia to adopt the euro on 1 January 2009. Slovakia, which entered ERM2 in 2005, received a favourable opinion on joining the eurozone at the ECOFIN meeting held on 3 June in Luxembourg. At that time, the ministers agreed with the European Commission's assessment that Slovakia had provided for legal compliance and reached a high level of sustainable convergence, thus fulfilling the conditions for adoption of the euro.